Tonight’s Menu: We share our interview Matt Frewer from Altered Carbon, Timeless, Orphan Black, Max Headroom, Supernatural, Star Trek, Monty Python, and More. We also discuss Black Panther, the Joco Cruise, Game Crafter, the first season of Doctor Who, etc. Matthew George Frewer (born January 4, 1958), commonly called Matt Frewer, is an American Canadian actor, singer, voice artist and comedian. Acting since 1983, he is best known for portraying the 1980s icon Max Headroom and Doctor Leekie in the Canadian science fiction drama Orphan Black (2013–17). Frewer’s most recent performances include a portrayal of “General #2” in the Steven Spielberg picture The BFG (2016) and the character Carnage in the Netflix production of Altered Carbon in 2018. Frewer was born in Washington, D.C., the son of Gillian Anne (née German) and Captain (Ret’d) Frederick Charlesley Frewer, a Royal Canadian Navy officer. He was raised in Peterborough, Ontario, where he graduated from Lakefield College School. He went on to train at the Bristol Old Vic Theatre School, graduating from its three-year acting course in 1980. His brother Frederick Barry Frewer also served in the Canadian Navy. Frewer portrayed the artificial intelligence character Max Headroom in the 1980s, starring in the 1985 eponymous science fiction television movie; Frewer also played award-winning Network 23 journalist Edison Carter in the film. This led to a series on the UK Channel 4 network with the Max Headroom character as a video jockey and interviewer. This ran for two series, the second which featured a studio audience which Max interacted with. 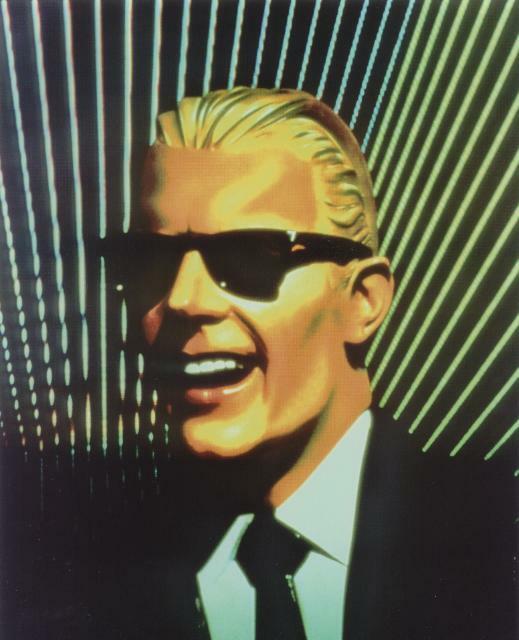 In 1987, an American series based upon the 1985 movie aired, titled Max Headroom (1987–1988). He also portrayed the character in other media, including a series of television commercials for “New Coke”, as well as the single and music video for “Paranoimia” by Art of Noise. He reprised this role in the science fiction comedy film Pixels (2015). Frewer starred as Dr. Mike Stratford in Doctor Doctor (1989–1991). He also appeared as Trashcan Man in the television miniseries The Stand. Frewer has also appeared in such films as The Fourth Protocol (1987), Honey, I Shrunk the Kids (1989), National Lampoon’s Senior Trip (1995), and the 2004 remake of Dawn of the Dead. 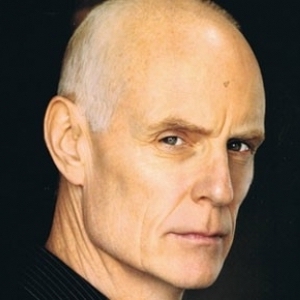 Frewer was nominated for two Gemini Awards in 2000, one for a guest appearance on Da Vinci’s Inquest and another for his work on the series Mentors. He was a regular on Eureka during the series’ first two seasons, playing Jim Taggart. He has done voice-over work on several animated projects, including Batman: The Animated Series (1993) and The Incredible Hulk (1996–1997). Frewer portrayed Matt Praeger in Psi Factor: Chronicles of the Paranormal from 1997-2000. In 2009, Frewer portrayed the retired villain Moloch the Mystic in Watchmen and appeared as the White Knight in the December 2009 Syfy two-part miniseries Alice, based upon Alice’s Adventures in Wonderland. He starred as Pestilence in two episodes of Season 5 of Supernatural. He has appeared in several adaptations of Stephen King stories, such as The Stand, Quicksilver Highway, Riding the Bullet, Desperation and Bag of Bones. He played Dr. Aldous Leekie on the first two seasons of Orphan Black. In 2018, Frewer portrayed Carnage in the Netflix production of Altered Carbon.